Developed by Avatar Creations for Windows. 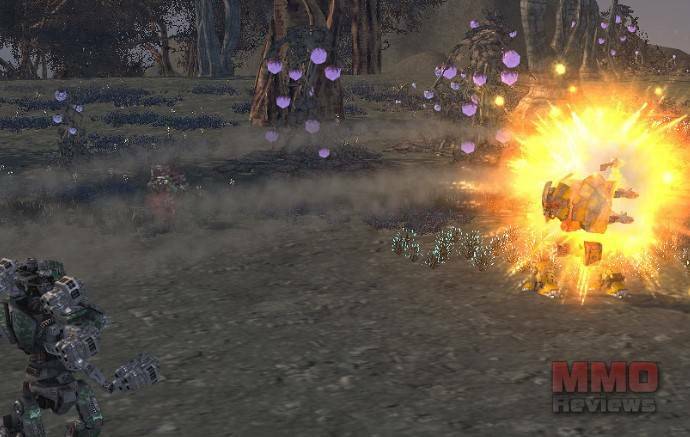 Perpetuum is a sci-fi MMORPG. Its setting is a far away planet inhabited by robots. Players may take part in various areas of the project. They may fight against various enemy robots, complete assignments on behalf of the Perpetuum project, do various industrial activities, trade goods or services, or even set their own goals and set up their own coprorations. By the 20th century, humanity had conquered the whole Earth. Meanwhile, technological development had altered our everyday life by introducing such inventions as the internet, medicine intertwined with information technology, and space research. With our state-of-art devices, we had broken down our physical and mental boundaries, bringing an era of unforeseen technological achievements. Communication and transfer of goods and values had become faster and faster. It was the cradle of total globalization. Every player is a part of one server, one scene, one storyline. The whole terrain can be formed by military, agricultural or even aesthetic aspects. The flora is changing perpetually, its parameters can be modified by the player, so even huge plantations - containing useful raw materials - can be established. The position of liquid materials change during exploitation. Controlled algorythms manage the respawn of raw materials. No turns, therefore no time restrictions of combat moves. Robots can be specialized in several kind of operations or tactics. The only barrier is your imagination. A complex corporation founding and management system is available for players, with additional communication systems in- and outside the game. Several missions can be undertaken on the numerous Syndicate departments. These varied missions provide challenge for every sort of specialties. Duing the beta test phase the game is free for all to play. Once regular operation starts we will charge a - very affordable - monthly fee. Looking for more MMO third-person shooter,MMORPGs,Pay 2 Play MMOs games? According to steam this game is pay once play forever. The description above says it will become pay to play after beta. It’s a fairly significant factor for anyone considering playing.